Investing in sustainable land and water management in northern reaches of the Volta and Niger River basins is critical if farming is to remain an attractive livelihood option. This is vital for securing food security in a region where urbanization puts undue pressure on the ecosystems that support production. WLE is looking at ways to influence policies and investments for improved and more sustainable land water management. WLE is also exploring innovative circular economy approaches that support the reuse of waste to deliver recycled resources for peri-urban farming. Investment and policy in the region has not always considered the disparity that exists, be it economic, ethnic or gendered. In order to ensure that development is not only equitable, but also will be effective and long lasting, WLE research has looked at how to improve and incentivize good practices. In Northern Ghana, through a series of field visits and focus group discussions, we spoke with local community members about small reservoirs and how they affect both genders differently. Here are three interesting lessons that we learned. In Western Africa, degraded agricultural soils are impacting food productivity. At the same time, municipal waste is increasing and disposal is expensive and often done improperly. Recycling waste in a safe and sustainable way to extract nutrients for agriculture, fuel for cooking, and water for irrigation is good for both urban health and rural productivity. WLE’s Resource Recovery and Reuse (RRR) program is striving to reduce urbanization’s negative footprint on ecosystems by safely converting human waste into a resource that benefits farmers, improves sanitation, and generates new business opportunities. Drechsel, Pay; Adam-Bradford, A.; Raschid-Sally, Liqa. 2014. 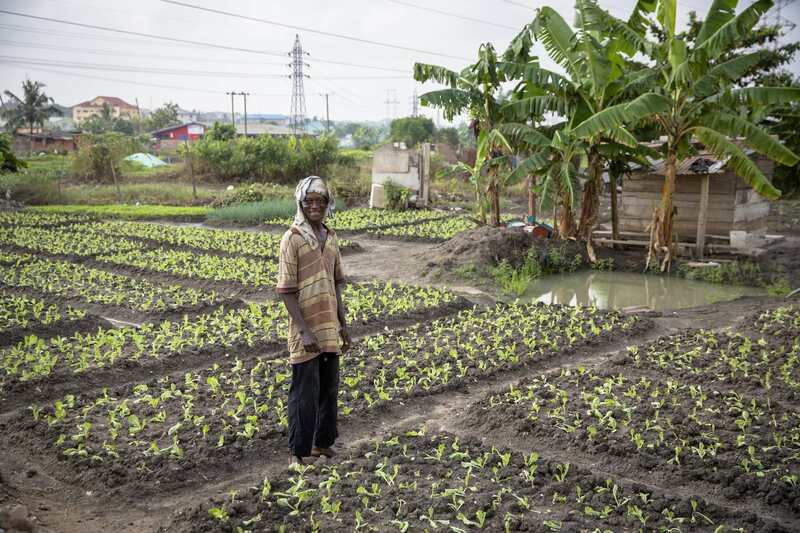 Irrigated vegetable farming in urban Ghana: a farming system between challenges and resilience. In Drechsel, Pay; Keraita, B. (Eds.) Irrigated urban vegetable production in Ghana: characteristics, benefits and risk mitigation. Colombo, Sri Lanka: International Water Management Institute (IWMI). pp.1-6. Water management in the region has been characterized by large infrastructure investments that are expensive and sometime ineffective. Making adjustments to these built infrastructure projects and exploring portfolios that incorporate natural water management functions can help improve water management in the region. Marloes Mul of the International Water Management Institute (IWMI) published a blog on the IUCN Water Knowledge Platform on the work being done under the WISE-UP to climate project. Specifically, the piece looks at natural infrastructure as an important element of balanced water resource management planning in the Volta Basin. Mulligan, M.; van Soesbergen, A. 2017. Assessing impacts of agriculture and dams on hydrological ES to people and dams in the Volta basin using the WaterWorld hydrological model. Colombo, Sri Lanka: CGIAR Research Program on Water, Land and Ecosystems (WLE). 20p. Modelling soil erosion response to sustainable landscape management scenarios in the Mo River Basin (Togo,West Africa). Diwediga, Badabate; Bao Le, Quang; Agodzo, Sampson K.; Tamene, Lulseged; Wala, Kperkouma. 2018. Modelling soil erosion response to sustainable landscape management scenarios in the Mo River Basin (Togo,West Africa) . Science of the Total Environment. 625: 1309-1320. Kadyampakeni, D.M., Mul, M.L., Obuobie, E., Appoh, R., Owusu, A., Ghansah, B., Boakye-Acheampong, E. and Barron, J. 2017. Agro-climatic and hydrological characterization of selected watersheds in northern Ghana. IWMI Working Paper 173. Colombo, Sri Lanka: IWMI. Yameogo, V. 2017. Ecosystem services management: An analysis of stakeholders’ perceptions in Thiou, Yatenga Province, Burkina Faso. ILRI Project Report. Nairobi, Kenya: ILRI.